Business owners of all sorts struggle to find financial advisors who portray their expertise and understanding through financial planner questions. Spa business owners, restaurateurs, and all business owners in between long for trustworthy financial planners. When you ask initial questions as a financial adviser, your potential clients gain insight into your services. To convince business owners to become clients, you need to inquire about the right topics initially. 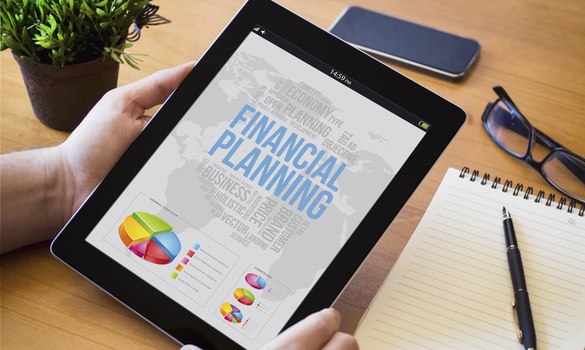 In this post, you will learn the best financial planner questions to ask business owners. What Does Your Ideal Business Look Like 20 Years From Now? To kick-start your financial planner questions during a first meeting, ask the business owner before you what they want their business to look like in 20 years. You will learn a lot about business owners by asking this question. If they declare that their business will be owned by someone else, you gain insight into their personal desires. When a business owner says that they wish to expand to doing business overseas, you understand that they might need funding for growth. A business owner could provide small goals such as getting involved in the Pinterest business, which could indicate that they are happy with how their business is running currently. Regardless, this question shows business owners that you care about their company and financial status. With this being said, this is one of the best financial planner questions to ask. Another topic to bring up during your meeting is financial concerns. Business owners’ concerns typically depend on the industry they are involved in. If a potential client owns a jewelry business, they could be worried about sales due to lack of business. Decreased sales in the jewelry business could revolve around jewelry types going out of style. Consider these elements in order to clearly comprehend each business owner’s big picture. Then, you can relate to them on a personal level and convince them to become a client through your financial planner questions. Do You Separate Company And Personal Finances? Since many business owners fall into financial turmoil because of disorganization, ask them whether they separate their company finances from their personal ones. This question allows you to assess their situation easily. Company owners who do not have a separate bank account for business transactions are usually suffering in both business and personal areas. One cannot properly track small business invoicing without a small business bank account. In trying to, the business owner would negatively effect their personal and business monetary situations. When a potential client states that they have one combined account, take it as an opportunity to express your concern for their personal well-being. They will feel your concern and choose to become your client due to your financial planner questions. What Are Your Tax Strategies? After you discover whether potential clients separate their accounts, ask them about their tax strategies. Business owners who have separate business checking accounts need to understand advanced tax strategies. Such strategies can include holding companies, trust structures, and multiple wills. To persuade these business owners to become your clients, share your expertise in tax strategizing. If you react in a professional, informational way, you will convince business owners with your financial planner questions. Who Do You Plan To Sell Your Business To? Additionally, request insight into who each business owner plans to sell their business to. Some business owners sell their businesses to outside buyers. Others have family members who want to take over their businesses. You might have clients who have no idea who they want to hand their businesses over to when the time comes. Explain how much knowledge you have regarding the advantages and disadvantages of the choices available. By asking this question, you gain essential information about potential clients while also showing them that you care about their situation. Therefore, it is one of the highest quality financial planner questions. To show business owners that you can provide the services they need, you need to ask the best financial planner questions. Firstly, ask a business owner where they would like their business to be in the future. Financial concerns offer insight into clients’ primary needs from an adviser. Ask each business owner if they keep their business finances separate from their personal ones. Find out if they already use advanced tax strategies. Finally, question them on who they plan to hand their business off to upon retirement. These are the best financial planner questions to ask business owners and gain clients.